If you already know you're ready to go, fill out your introductory application here. Are you hungry to rise to the next level? *Private Intensives are also available virtually, through Skype. being deeply listened to and guided along a higher pathway. ​that means more to you? Do you feel like it's really your time now? Are you truly ready to move forward, in a committed, focused way, finally? You don't have to continue wasting so many precious months and years of your life not knowing what to do, being in the wrong job or business, or even sabotaging yourself with other time-wasting activities. It's time to rise up and step into what you really want to do. You're ready to dive in fully and completely. You probably know you have gifts and talents that make you able to accomplish more than most. But do you feel like your greatest gifts are being expressed in the world? Do you feel that awesome happiness all the time when you're "doing what you are meant to do"? If not, it may be time for you to step up to the plate, take a deep dive into your own world, and get it cleared up. and Identify What You Want Instead. We all could use some help and guidance from time to time. The best of the best are always surrounded by a team of guides and mentors. It's the reason they go so far! Isn't it time you started honoring your greatest gifts, even if you're not sure how to do it or where to start? This is the work we'll be doing, and it will become a lifelong lasting change. Having another set of focused eyes to take a look at what's going on in your life can be extremely supportive. Practice deep listening for you around all the elements you feel are ready for a shift: work life, relationships, your health, money, and spiritual fulfillment. Ask you what you feel or intuit are the special gifts you have that are hidden and have never really come into full fruition. Help you design and outline your next steps. This thorough process will be highly transformative in and of itself. By examining "what is" and ​expressing all that you desire to one who listens, receives, and understands, a more expansive view of your life can now begin to take shape. Step into your next-level Self. Allow Spirit to infuse your mind so you can let go and become free. If you've been working on yourself for many years, have deepened your spirituality, and feel that you have a higher calling to serve others, I can help you clarify and focus what it is you'd like to do and address the fears and subconscious insecurities that might be holding you back. We'll sort out the right next steps you'd like to take. This can set you on a wildly successful course of action. I always include Spirit in my private work with people, and a VIP Day Private Intensive is no exception. Ultimately you will begin to fulfill your mission and live more joyfully and easily as your bright Light shines. There's no need for the next steps to be difficult. Just by being here and applauding your own courage, you can begin to see yourself rise up! What are your internal reactions to that new, guided direction? Understand and let go of deep resistance that may have had its purpose a long time ago but no longer serves you now. Feel yourself lifted into a higher realm where you can see more clearly and feel lighter, more confident, and sure of yourself. Energetically transmute internal structures that have long held you back, to now sense a new beginning occurring for you. When you can get yourself out of your normal surroundings, pack a bag, and slip away to a space that nurtures you and that makes you feel good and cared for, you can allow your defenses to fall so that you can relax and unearth the things in your mind and heart that are seeking to be heard. Discover your true desires once again. Get on track with understanding what needs to go and what needs to grow. Transmute and delete those unseen forces that seemingly hold you back. Know that the path is yours and that my assistance is here to help you find it so that you can follow it and grow from it! Identify what doesn't work for you anymore: Although you may be living an accomplishment or a dream you had before, perhaps it doesn't fit with you anymore, and you're not allowing yourself to see that you've grown out of your previous desire and that you are now ready for a new one. This doesn't mean that you need to quit your job tomorrow. It does mean, however, that you should pay attention to what is really draining you, and realize that something else, something better, is waiting to replace it! The way your energy feels when you are doing something is a real clear indicator of what's right and not right for you. Examine closely what thoughts come up when you think of changing into something new: Are you hearing the same old tired voices that are continually telling you, "You can't have what you want," because of "reasons x, y, and z."? Do you find that these voices stop you in your tracks every time? This is not the voice of inspiration or truth. This is the voice of fear that wants to keep you exactly where you are. Take a leap of faith and take active steps on your intuitive desires--no matter how crazy they seem: Sometimes just picking up the phone and making that call, stopping at a shop or place you've always been curious about, buying that book, or investing in a program that sets your direction straight, is exactly your next step. Take a leap of faith and act on your desires! During this spectacular day, we will focus entirely on recreating your life, making it into the one you know you deserve to lead. The entire day lasts approximately six hours and includes morning, lunch, and afternoon breaks. We usually go from 10 a.m. to 4 p.m., but I can accommodate your schedule. This is an exploration into your past and how it may be impacting your current situation. Through an intuitively guided set of questions, I will be led immediately to core issues that are ready to be explored and transmuted. We spend as much time as we need to uncover what is being held. We all have so many things going on. But what are we engaging in that is actively working toward our plans or our goals? Are there emotional barriers to your rising up? Are there activities you're engaged in that it's time to let go of? Putting our heads together, we'll figure it out with grace and ease. Allow yourself to dream, expand, and really go for that thing you want and know is possible for you! I won't let you hold back, and we'll continue lifting you forward and up! Complete dissolution of all deeply held blocks that reside in your subconscious. This work is conducted by Spirit and held in a meditative state. I facilitate this learning and transformation for you. 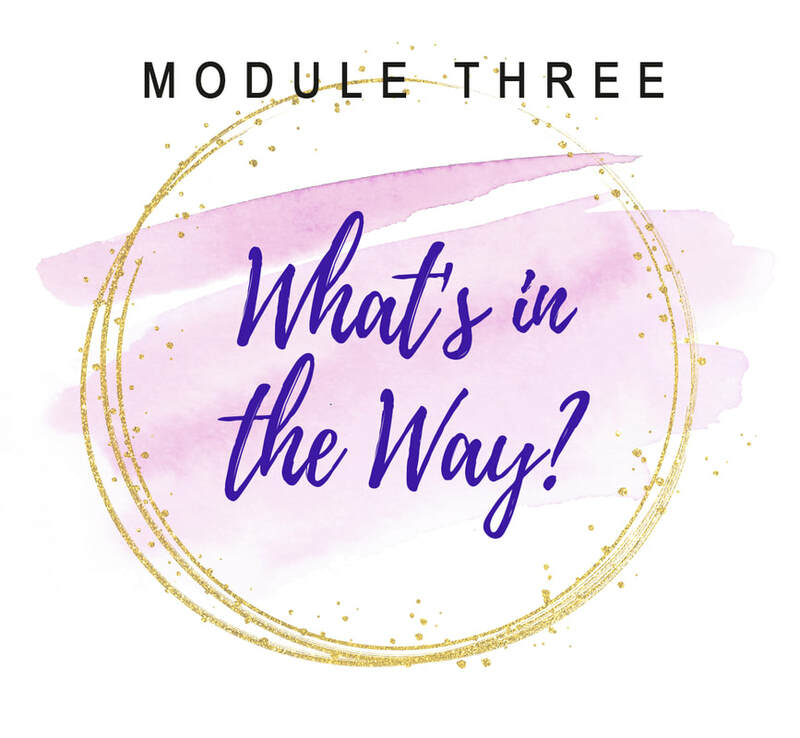 This module is recorded, and you will receive a CD as a continued reminder of how to move forward and the messages Spirit has provided for you. How do we implement "now"? With gentle guidance and affirmation that you are now free and clear, together we will create a plan that leaves you feeling balanced, alive, and knowing where you're going in the next 6–10 months. We'll formulate a plan to carry you in the coming weeks and months ahead. A plan for the new you and your new life will be laid out and celebrated. This is generally how I work. 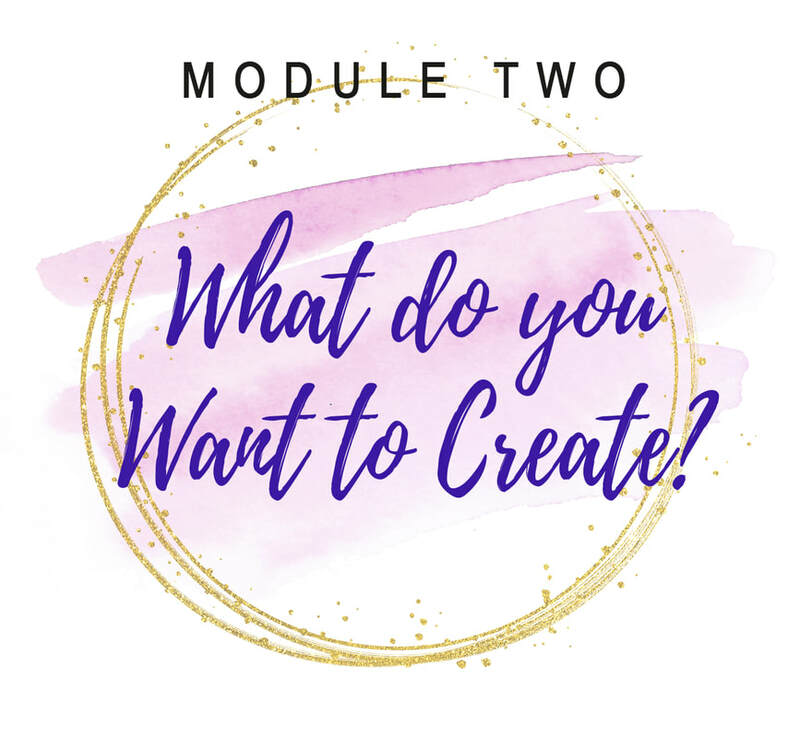 We can leave the module structure behind if you want, to focus and concentrate on what you desire to spend the day on. But when we're done, a whole new horizon is born. There is usually a minimum of three days of integration recommended before the full effects of the energetic work are installed, with continued results unfolding for months afterward. *Private Intensives are also available virtually, through Zoom or Skype. I believe we all have unlimited potentials, that there is way more available to us than we are generally receiving, and also that—for those of us with a strong spiritual side--our time is now! So many beautiful, highly spiritual individuals I know are often hiding in the closet, not wanting to take the next steps they know they should take. Why? Fear. It's always about a deep, subconscious fear, and this is what I am here to help you clear. You can rise. You can shine brightly. No, no one will hurt you. This is our time. If you're feeling called to step into a higher plane of expression, and you feel in your bones that this is your time, then I would be delighted to talk to you and receive your application. 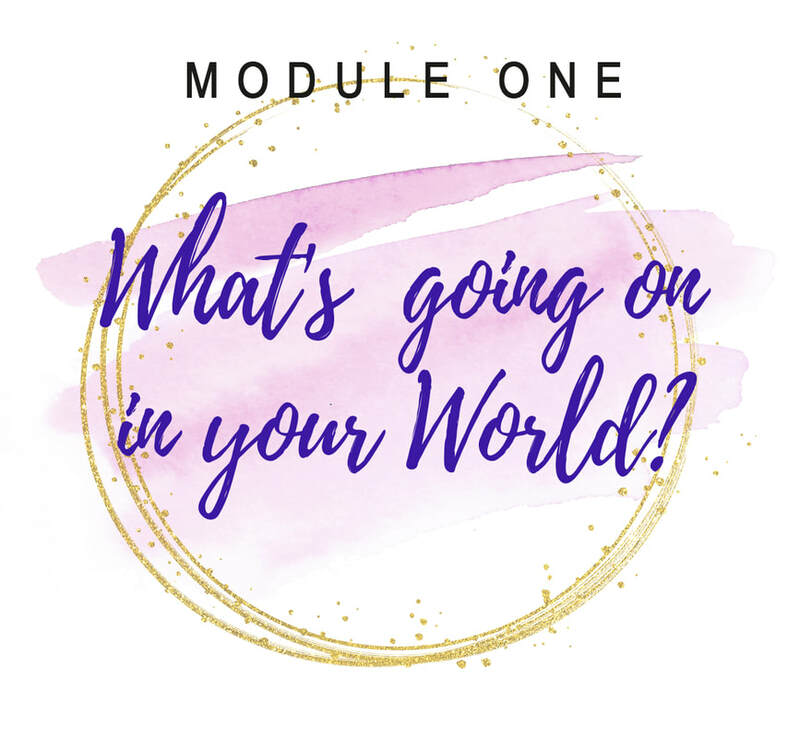 Let's get started in setting your work out into the world. Once your application is complete, you'll receive a link to schedule a call, or I'll email you directly, and we can chat when it's convenient. "I had had a strong desire to change some longstanding behaviors that kept me from moving forward in my life. I was not functioning at my best, had lost my sense of purpose and direction, and felt like I was drained of energy. I felt stuck in these feelings and needed help to move forward. I came away from the VIP Day free of the anxiety I had been carrying around for years from the "stuffing" of negative self-perceptions and old emotional hurts. I felt spiritually lifted (floating) and transformed into the beginning of the new happier, freer person. A feeling of real peace and strength is now present. For the first time in my life, I do not feel like a "bad person." That is a huge shift for me and has driven my behavior for years: second guessing myself, making bad choices in many areas of my life, and feeling depressed. After my VIP Day with Suzanne, I felt like the life I have dreamed about having might actually be possible. That is priceless to me and overwhelming at the same time! I am on a higher journey now and am staying on that track. 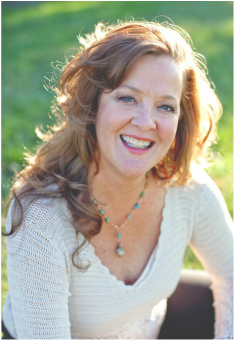 Suzanne's presence, spirit, and experience as a human being and a coach have created an energetic, exciting, safe environment for me to grow." Is it really working when days, weeks, months, and even years are going by, and you're still not living your true purpose? Are you ready to start tackling the belief systems that are obviously holding you back? Do you know somehow that if you gained clarity, released your blocks, and took the right steps, many more opportunities would come your way? Get ready to allow an internal transformation so that you can step into your future by restoring your power now. “Physically, I had a work injury that should have healed a lot faster, but it just wasn’t. I was in a lot of physical pain all the time. I also carried a lot of guilt and feelings of anxiety and depression, and I didn’t realize how much of that I had. I was always smiling, but that was the mask I wore. I had partnered with several companies and was fooling around with network marketing; all the while I was always trying to figure out, where do I go? Where do I fit? So I realized I never really had clarity, and I jumped around too much looking for something and someone to make me fit into. Now I have superior clarity and focus for what I need and what I do not. I pick what serves me and I let go of what does not. It is easy for me to say NO and not be totally overwhelmed. My pain has subsided tremendously and I have more better days than pain days. Now I do what serves me and my children first. I have fit in volunteering and church activities as well as new opportunities that resonate with my ability and purpose to help people…This VIP Day has given me the belief in me and my faith to gain the confidence and clarity to live my purpose each and every day. No one and nothing can stop me anymore!" Let's take advantage of this time, this offering, and get you on your road to a freedom-filled life at last. 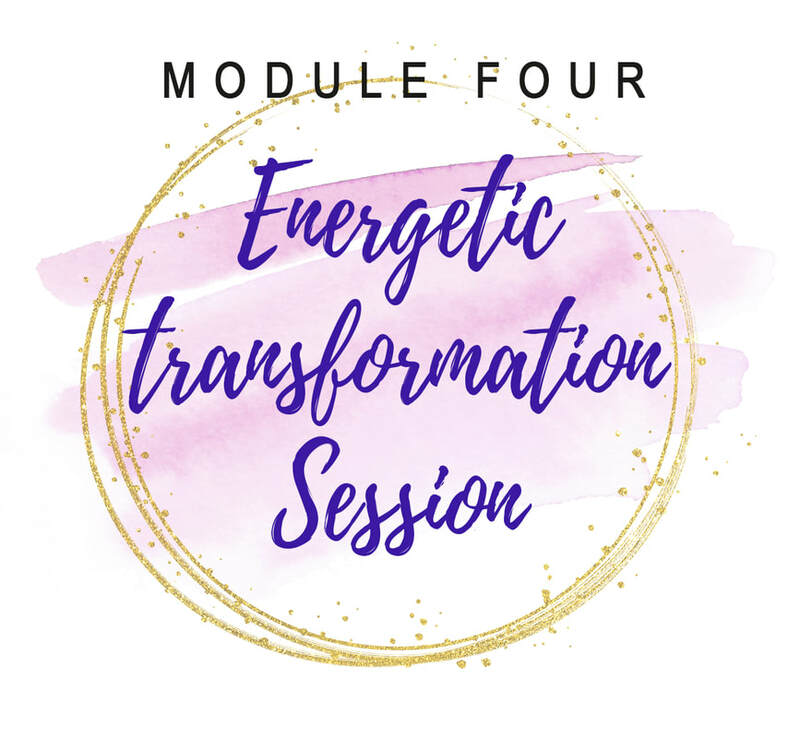 "After the Energetic Transformation Session Module of my VIP Day, it felt like my mind or my world was shattered into a thousand pieces and then was getting rebuilt again. I felt unexpectedly very tired, but also felt that "All is Well" even though everything in my life was really quite difficult at the time. The session really strengthened my internal self-confidence. I feel cleared, and there are improvements in being more effective. More expanded ideas have showed up during the following days on some of the material I got during modules 2 and 4. Instead of feeling stuck now, I have a renewed sense that I can find my way through these difficulties." upcoming dates and locations, by adding your name to the list! P.S. Private Intensives are also available virtually. If you are unable to travel now, and are interested in this transformation via a virtual connection, email me here.